Charming condominium quarter ownership just a few blocks from the plaza. 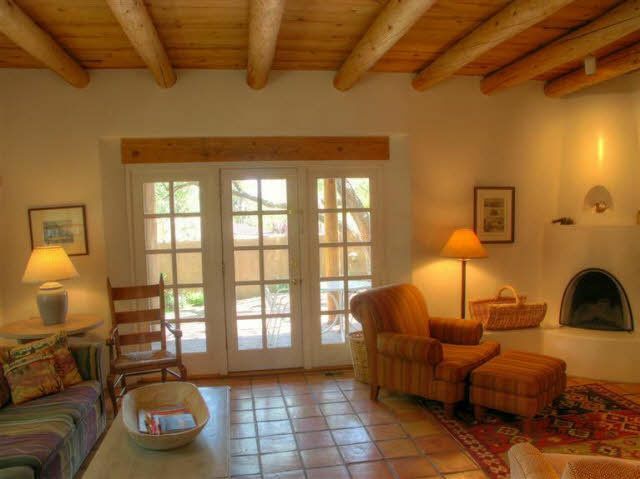 Beautiful architectural details found in gracious old adobe home - vigas, kiva fireplaces, sculptural smooth plaster walls, hand adzed lintels above windows and doors. Tile kitchen and baths. Enclosed courtyard space as well as deep entry portal and large enclosed back yard. All furnishings and maintenance, inside and out by HOA ($1554 per Qtr). Fully compliant with short term rental Ordinance.